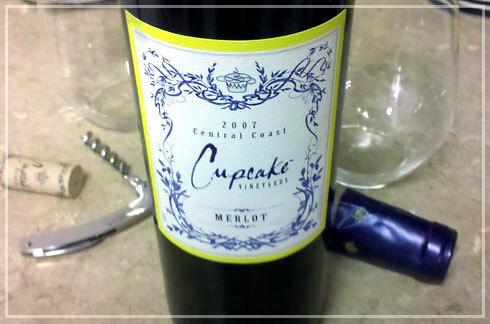 A few people had suggested trying Cupcake wine, so I thought I’d pick up a bottle for my next book club. They are my wine guinea pigs and a name like Cupcake wouldn’t embarrass them too badly. Getting a bunch of busy women together sometimes fails and book club was canceled that week. So out of sheer curiosity later in the week, The Man and I opened this bottle after dinner. The wine lived up to the name. Not that I’m saying it was bad. It was on the timid side though. Very mild for such a dark red, with dried fruit flavors and barely a hint of cocoa. And it had a slightly rusty finish. It also oxidized pretty quickly, so after an hour of being open, it was getting hard to drink. A wine with a stronger flavor might have carried this a little longer, but it was so mild, this became the dominant flavor too quickly. This hasn’t put us off the Cupcake wines though. There was absolutely a potential there. I want to try a white. Looks like they also have some interesting specialty bottles, including a riesling from Germany. I’m giving Cupcake another chance.